Picual Melgarejo and Arbequina from Spain; Cobrancosa (in the bottles) from Portugal; Martena from Spain; and Organic Mission from California are among the varieties sold at From Olives and Grapes. Comparing the 100 percent pure, extra-virgin olive oils found at From Olives and Grapes with what’s available elsewhere is like comparing Secretariat with a nag. Ditto for the balsamic vinegars. The stuff olive oil guru Stan Pengelly carries in his Cocoa Village and downtown Melbourne stores bears a top-notch pedigree and is designed to make a big difference in any recipe. 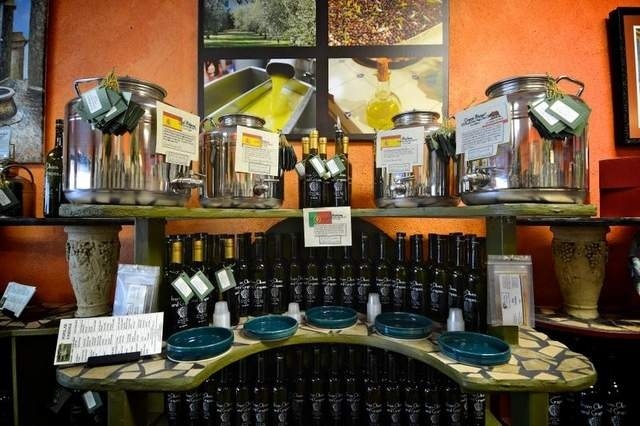 Pengelly, who studied olive oils at workshops at the University of California Davis, knows that all olive oils are not created alike, so his stores carry oils such as Picual Melgarejo, Arbequina and Martena, all from Spain, as well as the Cobrancosa from Portugal. Miguel de Cervantes, the man who brought us that windmill-tilting hero Don Quixote, noted that olive oil was the most precious gift of God. Whether you agree with Cervantes’ superlative assessment of this Mediterranean nectar, the fact remains that olive oil can make or break a meal. From Olives and Grapes’ gourmet oils and balsamic vinegars are excellent holiday gifts for cooks who want to take their recipes to the next level. The store still has some stock of the Spanish, Portuguese and Italian oils, but the cold weather also brings in a new batch of beauties from Australia, Chile and other locations in the Southern Hemisphere. Expect to see more of the Chilean Koroneiki, with olives that originated in Greece, and the Australian Nevadillo Blanco, with roots from France. “They’re extremely fresh,” said Pengelly. 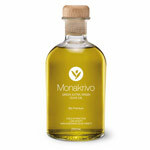 Pure, unadulterated, extra-virgin olive oils at From Olives and Grapes go for $16.95 for a 12-ounce bottle. Buy four and ship to one address and shipping is free anywhere in the United States. An option particularly suited to gift-giving is the eight-pack of 5-ounce bottles that the store packages and ships for a total of $79.95. You can choose from 14 flavored oils, five pure oils and three nut or seed oils, as well as 12 white and 15 dark balsamic vinegars. Take your pick, and the staff at From Olives and Grapes will bottle, seal, package and mail choices to your designated recipient. Who wouldn’t enjoy such liquid gold?